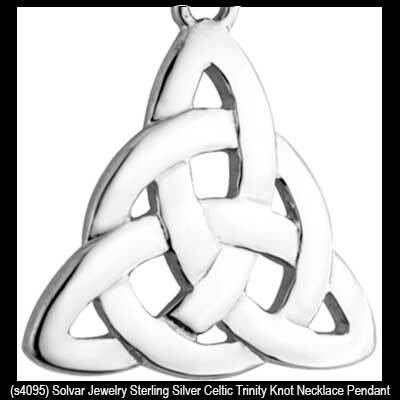 This sterling silver Celtic necklace features a classic Trinity knot with an interconnected circle. 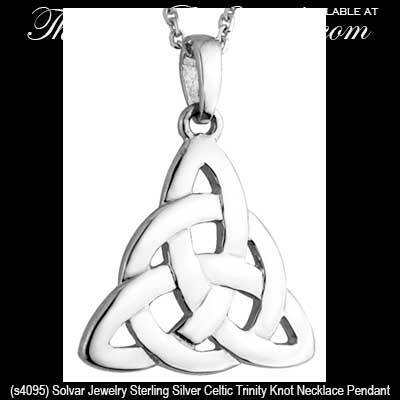 The fancy Celtic necklace measures 5/8" wide x 1” tall, including the jump ring and the chain bail, and includes a 18" long sterling silver chain. These sterling silver Celtic studs features Trinity knots that are interlaced with circles. These sterling silver Celtic studs features Trinity knot earrings that are interlaced with circles.